So straight out of Star Wars Celebration in Chicago we get the new Teaser Trailer for Star Wars: Episode IX, which is now Star Wars: The Rise of Skywalker. So let me get out of the way and let’s watch it! OH MY GOD I LOVE THIS THING! I love pretty much everything about this trailer from Rey’s lone samurai stance against a Tie Fighter to the final iconic cackle. I’m all in on this. I know there are other huge properties right now, and the fanbase has been split in the last couple of years, but for me personally there’s still just Star Wars and then there’s everything else. This teaser just affirmed all that for me. 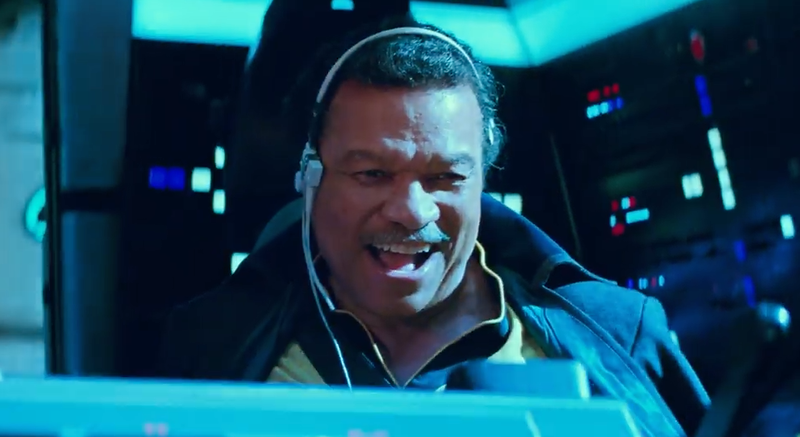 In addition, The Rise of Skywalker also brings with it the return of THE MAN, Lando Calrissian. It’s so awesome that he’s sporting the same outfit that Donald Glover wore in Solo. At any rate, is it December yet? I simply can’t wait that long for this to come out!